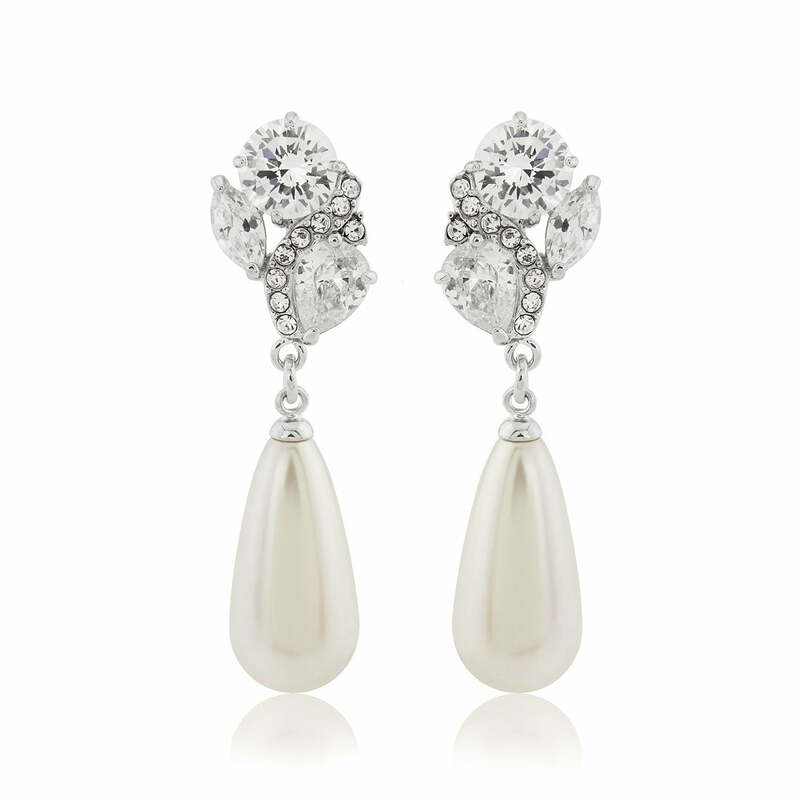 Statement style crystal and pearl drop earrings which glisten with effortless ease. Exquisite and full of glamour, Elegance of Pearl Earrings capture the essence of vintage drop earrings from the late 1940s to early 1950s. 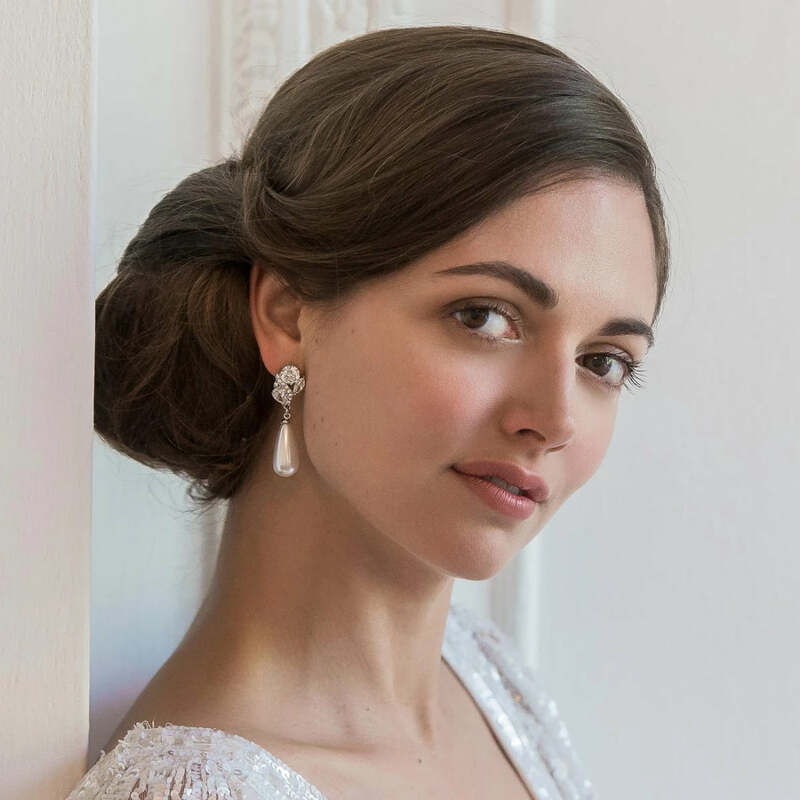 Set on silver tone, they feature a shimmering light ivory pearl droplet below an adornment of sparkling marquise, round and pear drop cut crystals all intertwined with a swirl of petite stones. Statement style, these beautiful earrings for pierced ears, will dress up a classic updo or peep out from tumbling curls with the elegance of movie screen starlets. Brides who adore vintage influences will be inspired by the authenticity of Elegance of Pearl which will sparkle and glisten with effortless ease as they glide down the aisle. Team with a dramatic pearl bangle and epitomise Hollywood style on your big day.